Many countries and cultures have different ways of telling a person’s fortunes; tarot cards go back centuries and are rooted in Italian renaissance culture, the Japanese have fortune cookies which originate from a ancient temple tradition known as O-mikuji and the Greeks have the sisters of fate. So what about us? Well we have a magic 8 ball that is scientifically proven to be correct 33% of the time, every time. Winning. With the start of a new year (and a rather gloomy year behind us) we tend to reflect on what we have accomplished so far and try to make plans to ensure our future is looking good. Sometimes, however, we can’t help but look towards a fortune telling to see if our path ahead will be a good one. We all read our horoscope on a daily basis right? 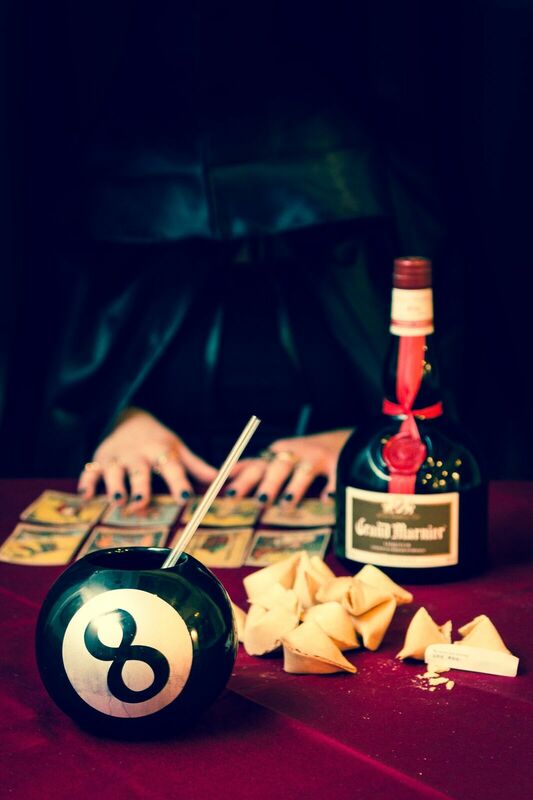 So with that in mind we thought what better way to start our new year together and keep the joyful spirits going then turning our new cocktail of the month into a tasty magic 8 ball. This month we have used a real classic in our mix. Grand Marnier, a cognac which goes back to the 1880’s and blended with essences of tropical oranges creating a magnificent blend that can be drank on it’s own or, as we have, mixed with passion fruit, orange juice, vanilla and lemon. To top off our future seeing cocktail we have added a fortune cookie, so your chances of seeing the future are doubled! However we know that not everyone believes in these time proven methods of telling the future, but a few sips of our grandiose drink and you might even have an epiphany yourself. For now if you want to predict what the weather is going to be like tomorrow, you don’t need to, it’s England, it will rain. But for a bright night of fun, go to…….